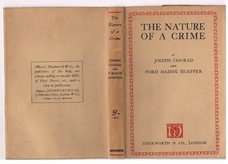 Home » Literature » British & irish » The Nature of a Crime. 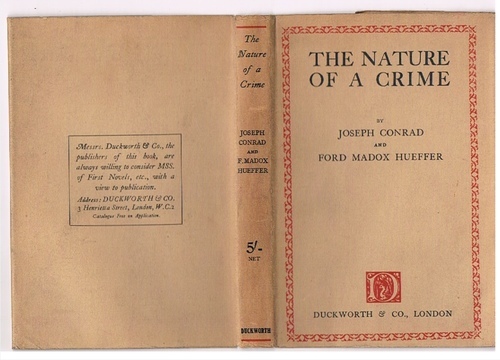 CONRAD, Joseph and HUEFFER, Ford Madox [Ford] [Huffer]. 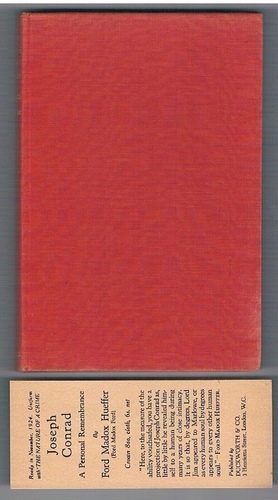 A very nice bright copy: light red cloth in original unclipped dust-wrapper. Clean and tight. Top edge stained green. Publisher's slip advertising "A Personal Remembrance" loosely laid-in. Usual light off-setting to endpapers.